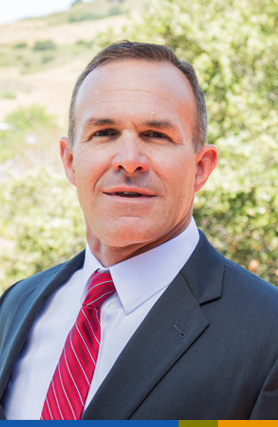 Michael K. Staub began his legal career working in the areas of construction defect and environmental litigation in Los Angeles and Century City. In 1997, he accepted a position with a well-respected regional firm in Spokane, Washington to help expand their business, banking and healthcare department. Mr. Staub was made partner of the firm in 2002 and continued to develop a solid business and banking practice, representing a wide variety of institutional and private equity lenders. His practice included negotiating and documenting complex private equity and institutional financing, corporate start-ups, mergers and acquisitions, real estate transactions and development projects, as well as bank and business liability defense litigation. Mr. Staub’s extensive bank and corporate experience made him a perfect fit for Stuart | Moore | Staub. He became a partner of the firm in 2017. Mr. Staub is actively licensed in California, Washington, and Idaho and able to assist community bank and corporate clients with a broad range of legal needs. Mr. Staub has represented major national corporations and institutional lenders in general corporate matters, mergers and acquisitions, regulatory compliance, securities offerings, loan transactions, loan collateralization issues, secured transactions, loan work-outs, and commercial litigation. He also has significant experience negotiating and litigating complex transactions, representing lenders in litigation and bankruptcy proceedings, as well as pursuing collateral and guarantor recovery on defaulted loan transactions. He routinely counsels community banks on merger transactions, branch transactions, capital raises, stock sales and purchases, stock option plans, and personnel issues. With Stuart | Moore | Staub, Mr. Staub has negotiated bank purchases in the context of FDIC auctions, handled major and minor branch purchase transactions, tender offers, capital raises, private placements, community bank M&A transactions, short-form mergers, securities registration, private placement offerings, capital raises, Nasdaq listings, and provided general regulatory guidance and employment law consultation. Mr. Staub has experience negotiating and preparing securities offering documents; drafting and reviewing ’34 Act filings, interfacing with various corporate and banking committees on regulatory and financial compliance; and rendering general corporate securities and regulatory advice. Previously in his legal career, Mr. Staub practiced in the area of commercial transactions and general business litigation. He has assisted banking clients through several real estate cycles and was instrumental and putting together major corporate transactions and handling complex loans and bond financings, as well as assisting lenders with their special assets handling needs, loan modifications, loan work-outs, and foreclosures. Mr. Staub’s commercial litigation experience involved representing lenders in challenging and contested Chapter 11 bankruptcy cases, and sorting out failed commercial transactions in court. Mr. Staub is an active member of the California State Bar, the Washington State Bar, and the Idaho State Bar. When away from the office, Mike enjoys supporting the Cal Poly Mustang Stampede Club, golf, hiking, biking, competing in triathlons, and spending time outdoors with family and friends.